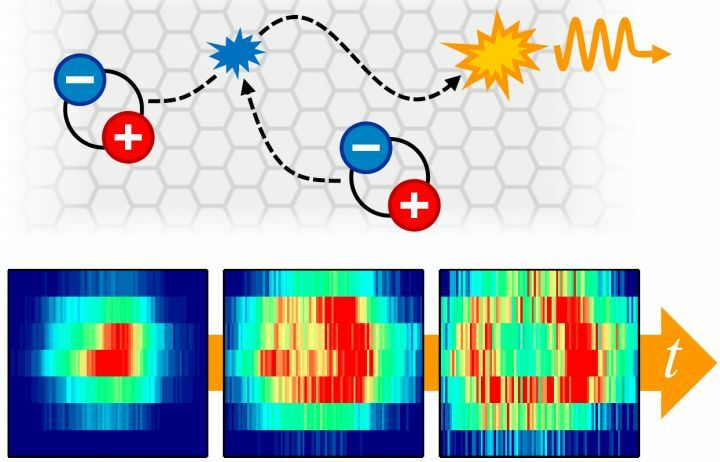 In a recent work by the research group of Alexey Chernikov in collaboration with Regensburg teams of Tobias Korn and Nicola Paradiso as well as with Mikhail M. Glazov from the Ioffe Institute, the transport of spin-polarizable, light-emitting exciton quasiparticles is demonstrated at room temperature. The study shows pronounced non-linear propagation of excitons in 2D materials and provides strong evidence for intriguing memory effects in their dynamics. It has recently appeared in Physical Review Letters (Kulig et al., Phys. Rev. Lett. 120, 207401 (2018)) and was highlighted as editor's suggestion.